K yoto on the main island of Honshu and the 4th largest Japan isle of Shikoku are separated by the narrow, Mediterranean-like Inland Sea. This area is arguably the true center and focal point of Japanese history and culture. Long serving ancient capitals, pivotal wars and battles, Ronin samurai hideaways, breathtaking beauty, and now modern day art have all combined to make this a truly unique area and destination. This trip is designed for those who want to experience Japan at its mysterious, artistic, historic yet modern best. We’ve laid out a unique and exceptionally interesting tour for you. 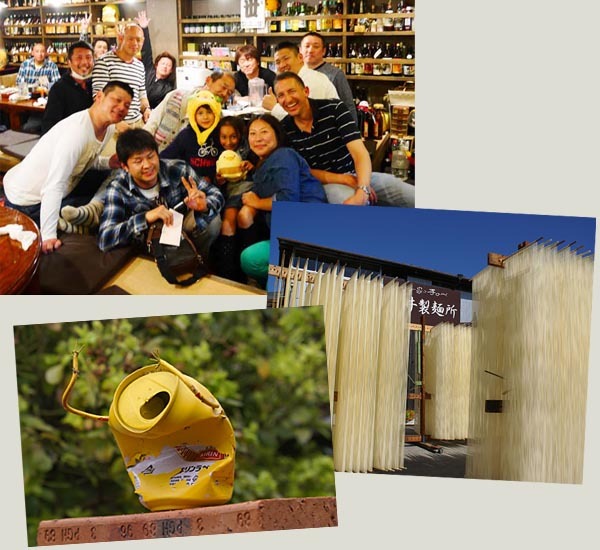 We’ll take care of all the hassles, meeting you at the airport, arranging all your local accommodations and transportation, as well as a few treats and surprises along the way, so you can fully enjoy and experience the exceptional cultural and national heritage that makes Japan so intriguing. You will do a fair bit of walking so bring comfortable shoes, an open mind, the spirit of adventure, and an appetite to enjoy with us. 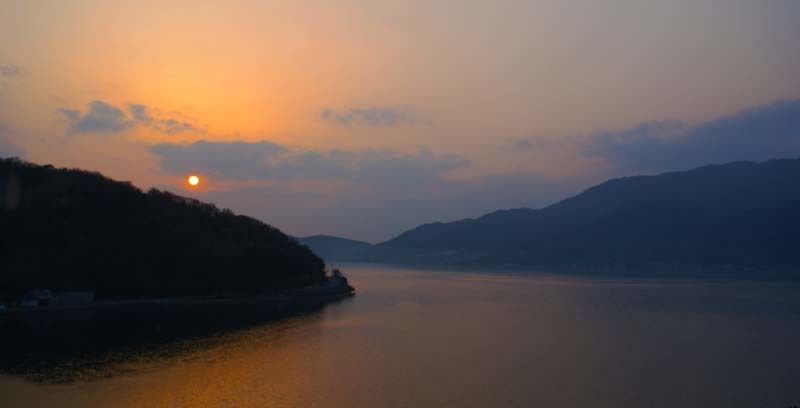 Naoshima – an international art, architecture and nature lover’s fantasy isle. Zentsuji, a revered Buddhist pilgrim temple and the Iya Valley and the Yoshino River hidden deep in Shikoku, a centuries old place of secrets, deep gorges and gorgeous mysteriously compelling nature. Matsuyama and Dogo Onsen, an historic castle town with the oldest hot spring in all of Japan. Osaka with its electric pace and eclectic neighborhoods. It is all of modern Japan and a great counterpoint to Shikoku. But with a culture, cuisine scene and attitude very different from, but every bit as wonderful as, Tokyo. Explore the epicenter of Japanese history and culture, with its uniqueness resulting from their separation from the mainland by the fascinating waters of Japan’s Inland Sea. Eat and drink well – sampling a full range of Japanese local cuisine and beverage. Ride the Bullet Train (Shinkansen). Still one of the best, classiest, and fastest ways to travel. 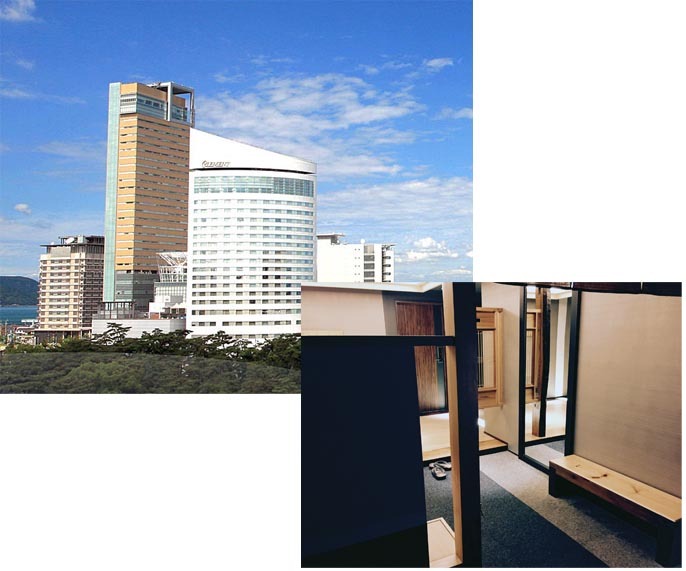 Kyoto Royal Hotel and Spa – Lovely boutique business hotel with an in-hotel spa. Well-located near to Nishimaki kitchen street and shops on one side with the river and eastern mountains dotted with world heritage sites on the other. Hyatt Regency Kyoto – Elegant and fabulously located directly across street from the redone national museum, adjacent to two temples, and nestled in the foothills of the World-Heritage site studded Eastern Mountains, it provides a fantastic blend of tranquility and modernity with a fantastic sake bar. Hotel Yumekura Dogo Onsen – The elegant sister to Hotel Yaya wonderfully located between the park and Dogo Onsen it provides an understated elegance for you to enjoy. Arrive and explore the many local restaurants and lesser known yet quaint areas and nightlife in Kyoto, within a few blocks of your hotel. Explore the ancient capital city of Kyoto, with its fantastic wealth of seventeen Unesco World Heritage sites. But not to worry about keeping them straight, you’ll have a dedicated professional guide to help you make the most of these cultural gems. But be prepared for a lovely only-in-Kyoto Kaiseki meal to bring your first day to a satisfying close. Continue the exploration of Kyoto’s World Heritage Sites, including Kinkakuji Temple (Golden Pavilion), originally built as a retirement villa for the Shogun. As the mood fits, we may may also see Nijo Castle. From there we’ll walk down Nishiki Market, another foodie fantasy. Known as “Kyoto’s Kitchen”, this lively retail market specializes in all things food related, like fresh seafood, produce, knives and cookware, and is a great place to find seasonal foods and Kyoto specialties. Your final stop today is a traditional teahouse where you will enjoy a genuine tea ceremony before a truly festive evening begins. The evening will begin with a walk through some of Kyoto’s geisha districts where you’ll learn about the geisha’s world – past, present and future. Today we take a brief morning Shinkansen ride stopping at the stunning Himeji Castle, renowned for its immaculate white walls. Himeji Castle was built in the 17th century and has travelled unscathed through time. It is a skillful blend of elegance and strength. Its vocation was defensive, as indicated by its ramparts, corner chutes for pouring down boiling oil and the labyrinth of paths and traps to disorientate assailants. And as a bonus Japan’s finest castle has just completed extensive renovation so you can see it in all its splendor. After the castle, we’ll have a brief local lunch before getting back on the Shinkansen to the port city of Okayama for a ferry ride to Naoshima island, one of the 3000 plus islands that dot the Seto Inland Sea. You’ll have time to do some brief exploring before dinner and retiring to your island accommodations. This morning is all about exploring the weird, wild, and wonderful art and architecture that marks Naoshima. Imagine transforming a small traditional fishing island by letting some of the world’s best artists run free and you can understand why Naoshima rates as one of the ‘seven places in the world you should see next’ by Conde Nast Traveller. 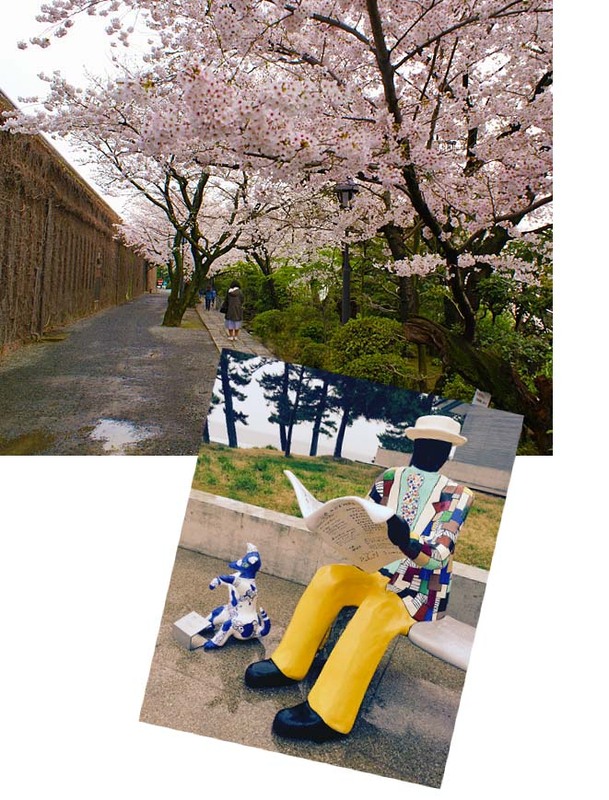 The island is a unique destination within Japan with its international perspective, sandy beaches, relaxed atmosphere and most importantly its unique modern art that infuses itself with its surroundings. After a local lunch, we’ll board a late afternoon ferry onto Takamatsu and onto the 4th largest island in Japan, Shikoku. A world apart from the rest of Japan in feel and history, we’ll start with a simple Sanuki Udon meal, here in this town famed for the best Udon in Japan. Today make sure you wear your walking shoes! We’ll start with a morning visit to explore Ritsurin Gardens. During the Edo period feudal lords spent over a hundred years constructing this beautiful walking garden designed to provide year-round viewing pleasure. We’ll follow that by exploring the Kanpira Shrine and the 1368 steps up to its inner-sanctum. Then wander the pleasant Kotohira town, at the foot of Kanpira Shrine. Quench your thirst with a bit of local libation at the the Kinryo Sake Brewery, where a taster cup will set you back just 100 yen and we’ll visit the adjacent Sake museum. We’ll also stop by Kanamaru-za, Japan’s oldest Kabuki theatre. When no performances are being held, the theatre’s audience hall, basement, stage and backstage, including trap doors and a revolving stage, are open to visitors. We’ll leave Konpira-san and Kotohira town for the short journey to Zentsuji, one of the 88 temples and birthplace of one of the most important Buddhist figures. It is also happily known as the “Right Path Temple” and is one of the group of Temples collectively known at the “Dojo of Nirvana.” Here you’ll spend the night in the working Buddhist temple, dining on an traditional Buddhist evening and morning meals and sleeping in a simply prepared room as you get in touch with your inner Buddha. Today we head to the mysterious and hidden Iya Valley where we will explore its fabled vine bridges and hidden valleys. Next we’ll take a scenic and mellow ride on the Yoshino river, which cuts deep through incredible gorges that used to shelter hiding samurai and other refugees over the centuries. In the afternoon we’ll head to Matsuyama and Dogo Onsen, the oldest hot spring in Japan, and a fantastic castle town. We’ll dine at a special Izakaya, full of local flavor and ambience. In the morning we’ll refresh and relax the centuries old-way at Dogo Onsen, a 3 star Michelin rated destination and the oldest onsen in Japan tracing its roots back 3000 years. We’ll then explore Matsuyama Castle which dates back “only” to 1602. It stands in the heart of the city on a hill surrounded by moats. The fortress has been substantially reworked and restored at various times and stands out as a gem of defensive architecture. The area around the castle came to be populated by samurai and tradesmen and the area today remains true to that period. It now houses numerous interesting restaurants and shops which we’ll explore and experience. Today we’ll head across the Japan Inland Sea again, this time by car, exploring a chain of 11 islands connected by bridges back to the main island of Honshu, stopping to bike a few of the island links, depending on weather. Once on Honshu, we’ll stop for an exceptional soba lunch and a stroll through the nicely maintained old merchant town of Kurashiki. During the Edo period, Kurashiki became an area directly controlled by the Shogunate. The old merchant quarter, with distinctive white-walled, black-tiled warehouses contains many fine examples of 17th century wooden warehouses (Kura). As time allows, we may also make a quick visit to Japan’s first museum for Western art, the Ohara Museum of Art which contains paintings by El Greco, Monet, Matisse, Gauguin, and Renoir. From Kurashiki we’ll continue onto the final destination of our trip, the ultramodern, vibrant, pulsing metropolis of Osaka. 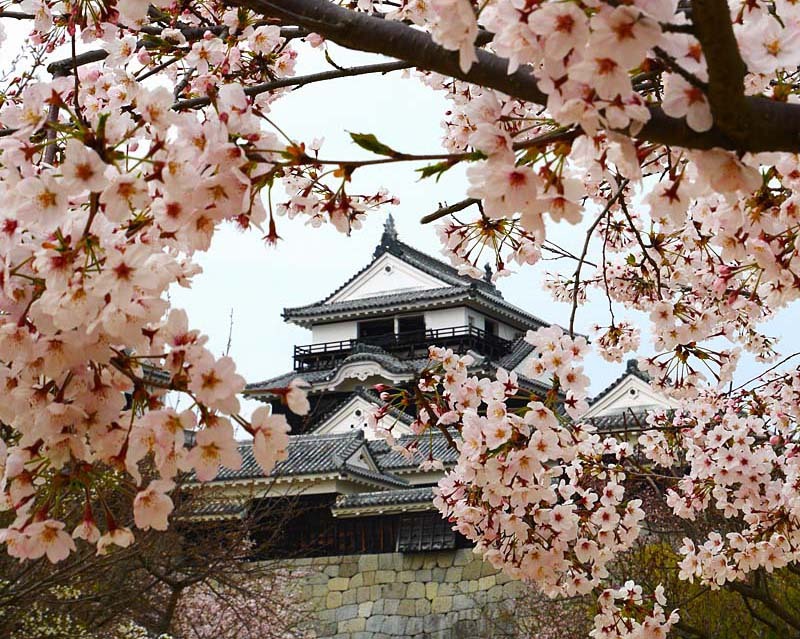 Truly different to the relaxed pace, mystery and natural beauty of the Seto Islands and Shikoku, seeing Osaka makes it easy to understand why Japan is often referred to as the land of contrasts. We’ll drop you off at your hotel for a final celebratory dinner and sake tasting, at one of Osaka’s best restaurants – associated with the Tsuji culinary school. Your last day in Osaka is yours to explore, do a bit of last minute shopping or have a last tasty treat before your assisted transport back to the airport for your return journey. Or stay a bit longer and join us on our 3 day tour of Tokyo or other trips to parts of Japan experience another angle on this fantastic and fascinating country. We vet and believe in our guides and allow them a greater degree of flexibility during their tours than some other providers. Accordingly, based on the day, weather, how people are feeling, their interests, etc., the guides may vary the itinerary to best suit the needs and desires of the group. We firmly believe this makes for a better touring and overall travel experience. Shikoku, one of the four islands that comprise Japan, may be the least populous, but it is far from the least interesting. Cut off and isolated for many years, it has remained unspoiled and is home to a host of picturesque temples and villages which are protected by Japan’s highest mountains. The northern part of the island, hemmed by waters that bear a striking likeness to the Mediterranean, is the site of some of Japan’s most exquisite gardens such as Ritsurin-koen (an Edo period masterpiece) and bath houses at Dogo Onsen (east of Matsuyama) and of Takamatsu, the genuine gateway into Shikoku and the Japanese capital of bonsais. 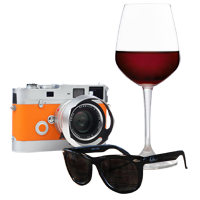 Its mild climate is particularly suited to citrus fruits, peaches and even olives. The warm, fish-filled waters of the Pacific Ocean, perfect for swimming, lap the coast of the southern half of the island, blissfully preserved from tourism. A mountain range, which climbs to a height of 1,982 m, cuts across the center and is ideal for outdoor sports such as hiking and climbing. This authentic, unjustly ignored island is the ideal place to get acquainted with Japan: lush green paddy fields, remote fishing villages, strings of secluded islets (many of which don’t have a name) and a local cuisine in which fresh fish takes pride of place.